All the info you need locally! Visiting Meiklebob and want to get to know the local area? There’s so much to explore in Dumfries and Galloway, from castles and art galleries to nature reserves, beautiful coastline, glorious gardens and lovely little towns and villages. And our location just outside Dalbeattie offers something for everyone to enjoy. Here are a few of our favourite things, right here on our doorstep. The 7stanes are seven world class mountain biking trails spanning the south of Scotland and we are very fortunate to have one of the Trails right here on our doorstep. Dalbeattie is world famous for its granite and it’s the rock that defines the riding at Dalbeattie with the aptly named ‘Slab’. 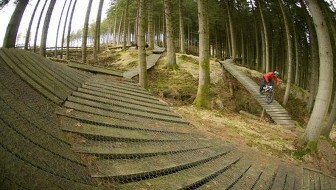 With a broad range of trails suitable for all abilities you can look forward to a fantastic mountain biking experience. Discover the breathtaking scenery and wildlife that's typical of our region. 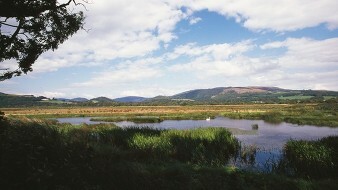 Stroll along the nature trails and use the viewing hides to explore at your own pace. In Spring the wet meadows fill with lapwings and skylarks, not to mention butterflies and wild flowers. You might also see a roe deer. And in the autumn, thousands of barnacle and pink-footed geese start to arrive for the winter, creating a not-to-be-missed spectacle. A gorgeous sandy beach with shallow waters ideal for paddling, bathing and exploring the rockpools. 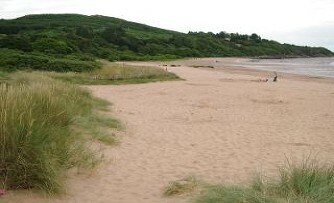 Low tide can reveal miles of sand and other secluded bays. Sandyhills is also a dog friendly beach! 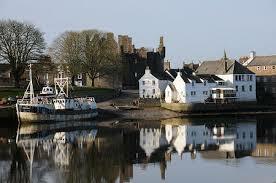 Kirkcudbright is known as the Artists’ Town since it housed an established artists’ colony in the 19th and 20th centuries. The beautiful town remains the home of many artists and writers who are inspired by the stunning light of the Solway Coast. 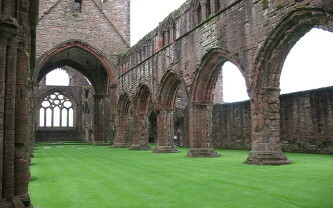 Despite Scotland's turbulent history, this splendid red-sandstone ruin of the late 13th century stands remarkably complete in a beautiful setting nestled between the grey bulk of Criffel Hill and the shimmering waters of the Solway Firth. 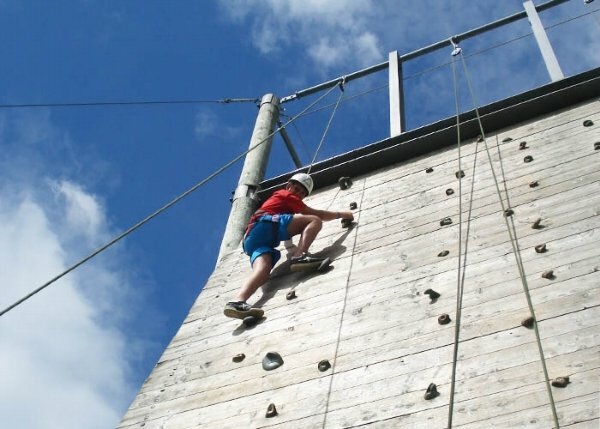 Galloway Activity Centre occupies a stunning location on the banks of Loch Ken in Dumfries and Galloway, South Scotland. With our team of expert adventure instructors and our beautful surroundings we specialise in providing exciting and memorable holidays in a safe and friendly family atmosphere.